Men’s Moguls – Canada Wins Gold! Alexandre Bilodeau becomes the first mogul skier to successfully defend a gold medal in the same event in back-to-back Olympics. To celebrate this amazing accomplishment, here’s a tribute to his efforts. 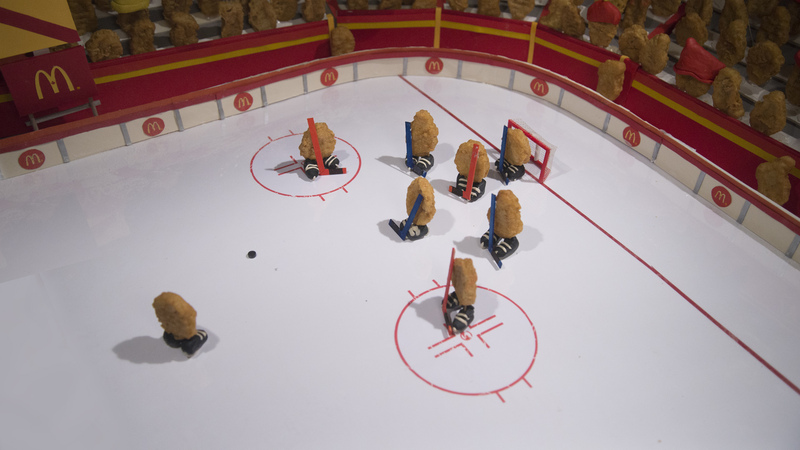 With McNuggets. Men’s Figure Skating – Patrick Chan wins Silver! 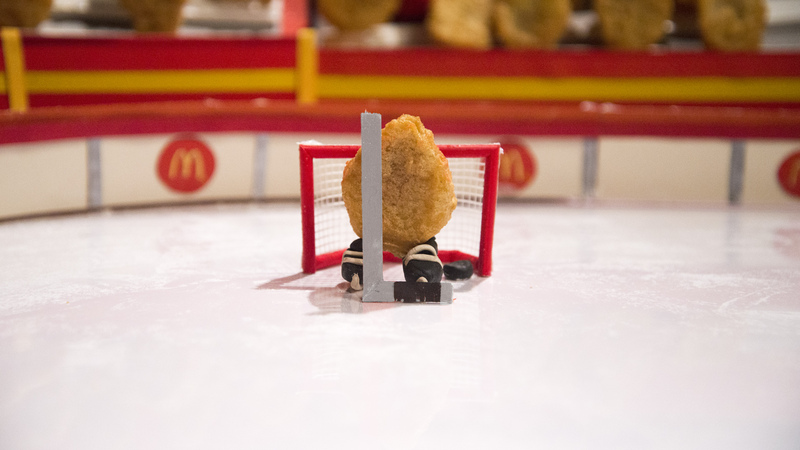 With almost as much beauty and poise, we’ve recreated Patrick Chan’s marvelous routine with McNuggets. Women’s Ski Slopestyle – Canada Wins Gold! After putting down an extremely daring first run, Canada’s Dara Howell wins gold! 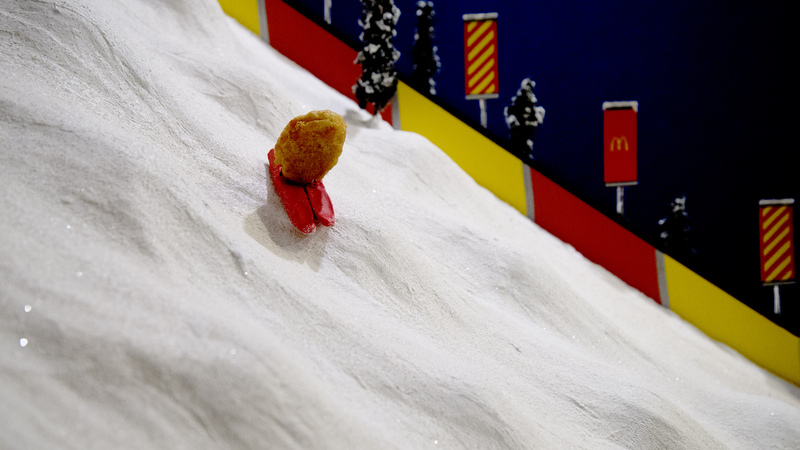 Here’s a celebration of her Olympic Victory — in McNuggets of course! Women’s Hockey – Canada wins Gold! That was close! An overtime goal means a four-peat for the Canadian Women’s Hockey Team and Canada’s 7th gold medal! Women’s Bobsleigh – Canada Wins Gold! An inspiring performance from Canada’s women’s bobsleigh team with Kaillie Humphries and Heather Moyse. 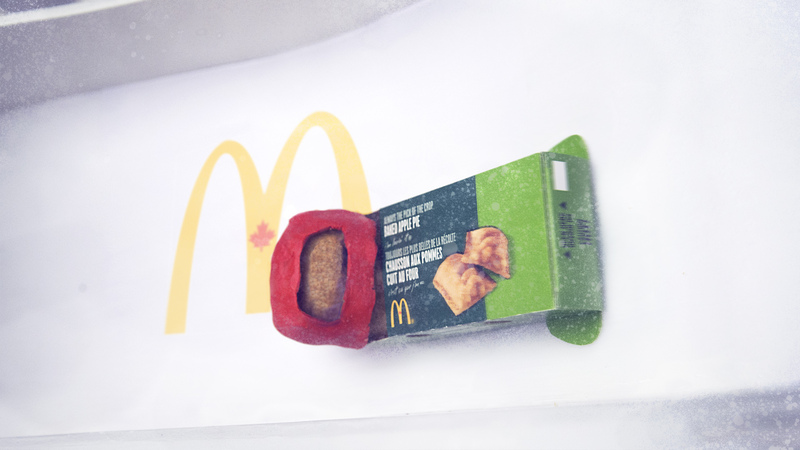 Here’s their amazing run represented by delicious Baked Apple Pies.